The new batch of statement necklaces coming in. 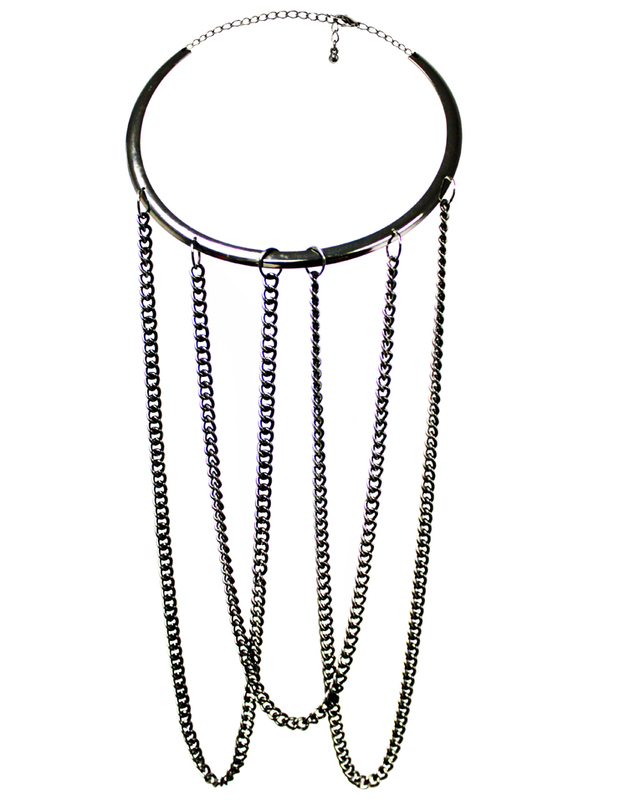 This collar/chain combination necklace has edgy and cool written all over it. Layer it over a bold collared blouse for maximum impact.